Research shows that happy employees lead to high performance. 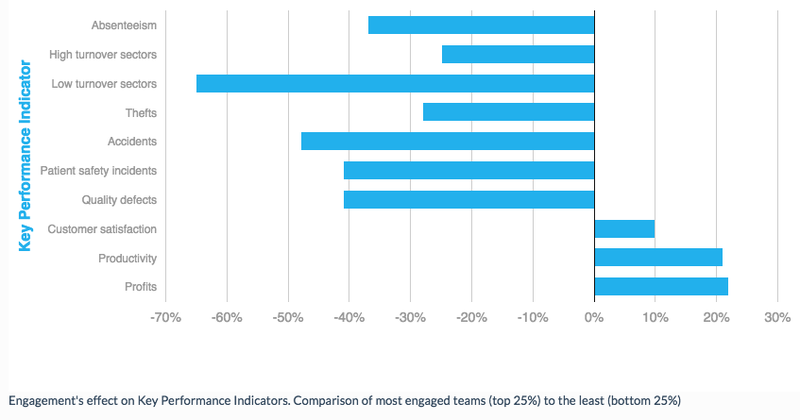 Study after study shows that happier employees are more engaged, more motivated, innovate, give better customer service, play more effective roles in teams and make better leaders. 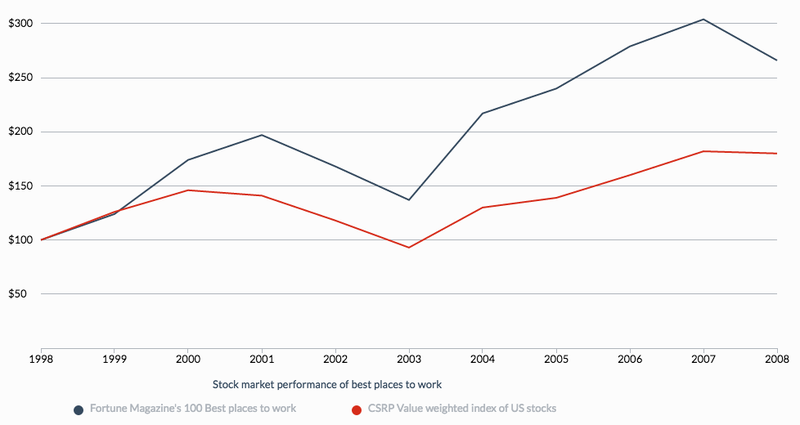 If you invested $100 of stock in a company listed as a ‘Great Place to Work’ in 1998, by 2008 your investment was worth $266. Compare that to a benchmark of comparable companies that didn’t make the ‘Great Place to Work’ list, that $100 would have only been worth $180. That’s a 2.1x higher return on your investment. Happiness is worth it. Big savings can be made for happy companies through lower staff absence, talent retention and productivity. Calculate the savings for a happy organization. [vc_cta_button2 h2=”Sign up for free” style=”rounded” txt_align=”left” title=”Sign up” btn_style=”rounded” color=”orange” size=”md” position=”right” css_animation=”right-to-left” link=”url:%20http%3A%2F%2Fshawnachor.wpengine.com%2Fhappiness-at-work%2Fsignup||target:%20_blank”]Take a snapshot of your team’s happiness at work in an instant. Use with as many people as you like. Carefully designed using the latest wellbeing research. Short enough to keep employees’ attention but detailed enough to be an effective diagnostic tool. Our survey is quick and easy to complete. All scores are presented on simple 0-10 scale where 5.0 is the national average. Results are visually appealing and colour coded to reveal where your areas for improvement are at a glance. We have advised governments around the world on wellbeing measurement. With 40 carefully designed questions that accurately capture the happiness of your organization. Once your results in, we will schedule a 30-minute call to walk you through the results and advise on the most effective routes to happier staff. Should you be interested in additional training, we have a worldwide network of expert practitioners who can help. We provide employees with instant access to their own results and teams and organization results can be released to everyone so they can compare scores. No need to wait weeks for a report. We can assure staff that individual results are only available to the individual themselves. We don’t allow results for groups of less than three people to be shown so there is no risk of individuals being identified. Lifting the lid on the most important metric of any healthy, productive and sustainable business – happiness. Based on the latest research in wellbeing, our easy to answer survey thoroughly assesses people’s experience of work and provides instantly available results that are insightful and fun to explore. Your results are compiled into a PDF report and can be tailored to any level of detail depending on your needs. We also provide an executive summary of your results and tailored advice. 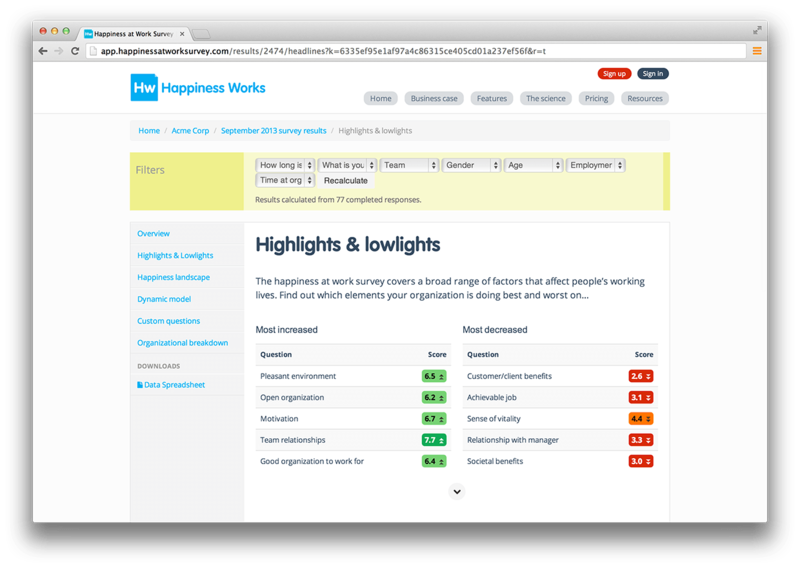 The Happiness at Work Survey is based on a model of wellbeing developed for the UK Government Office of Science’s “Foresight Programme”. The model recognises that happiness and wellbeing are influenced by, and influence, multiple interconnecting factors. In a work context these factors include the organization system, the personal resources that employees bring to work as well as how well they are able to carry out their jobs and their experiences at work. It is through a better understanding of these interconnections that individuals and organizations can identify the changes that will create a happier and more productive workplace. Our 12 years experience of working with local, national and international bodies focused on creating measures of wellbeing, including the EU’s statistics office, Eurostat, the UK Office of National Statistics and the OECD is distilled into the Happiness at Work Survey, bringing the latest wellbeing research methodology into the context of work and organizations. 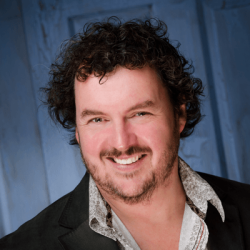 Happiness Works is founded by Nic Marks, a fellow of the new economics foundation and a board member of Action for Happiness. He is best known for creating the award winning Happy Planet Index the first global measure of sustainable wellbeing. Nic spoke at the prestigious TEDGlobal conference in 2010 on his work and authored one the first TEDBooks – A Happiness Manifesto. After completing our second Happiness at Work Survey, we are blown away by the depth of analysis the survey provides. It’s interactive and drills down to important details. GoodThink’s Happiness at Work survey is truly incredible and has given us powerful insights into our organization. 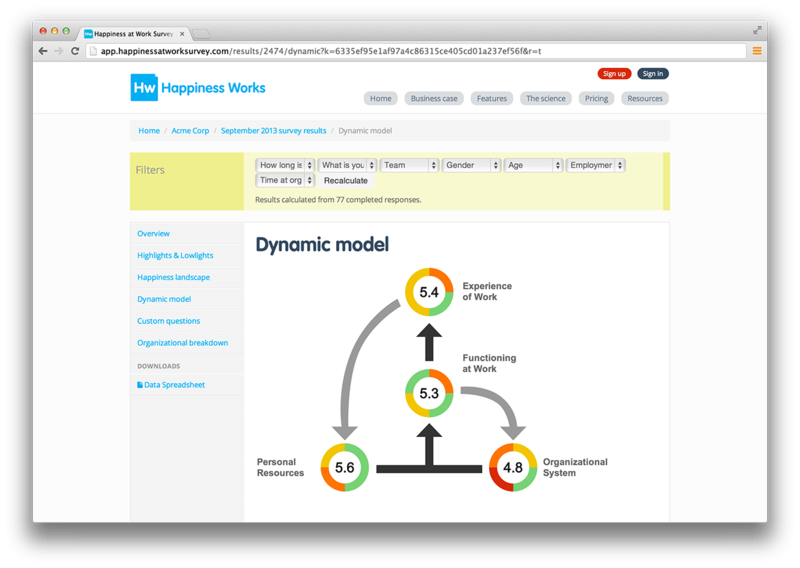 The tool provided great detail which enabled us to develop an actionable plan to increase employee happiness.